The Roland KC-L Stretch Keyboard Dust Cover is a durable and convenient cover designed to protect your 88-note keyboard from dust and debris. The cover itself is constructed from stretchy nylon fabric for added versatility, fitting a wide range of 88-note keyboards and synthesizers. It also features an integrated drawstring that ensures a perfect fit, securing your keyboard at all times. Perfect for covering your keyboard when it is not in use, keeping it clean and secure until its next use. 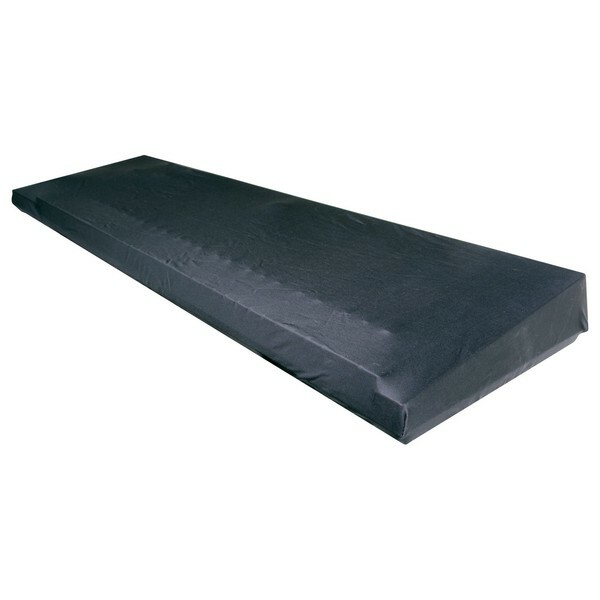 The Roland KC-L Stretch Keyboard Dust Cover is the ideal companion for any keyboard player, protecting against dust and other unwanted debris, keeping your instrument clean and secure while not in use. The stretch nylon fabric will fit snugly around your instrument, while the integrated drawstring ensures an even more secure fit. The stretchy nature of the nylon fabric means it will fit a wide range of 88-note keyboards. Ideal for a range of applications from protecting school instruments to studio players and more.